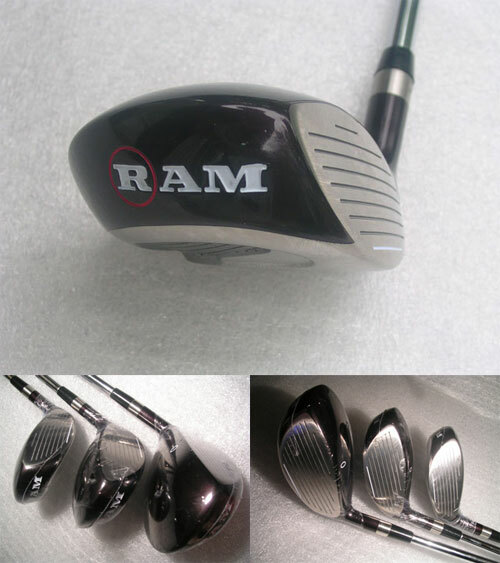 Nieuwe 1, 3 en 5-Wood van Ram met stiff flex True Temper steel shafts. The heel-weighted sole concentrates weight low and in the heel of the club-head, which assists in squaring the clubface. The Flow-Weight Pad distributes weight towards the toe incrementally in order to minimize the toe-weight in the woods and increase the toe-weight as the club loft increases. These woods contain stainless steel club-heads that provide greater feel and outstanding durability.